Etiquette teaches us that it is impolite to stare, but with a grand entrance such as this, how can you not? 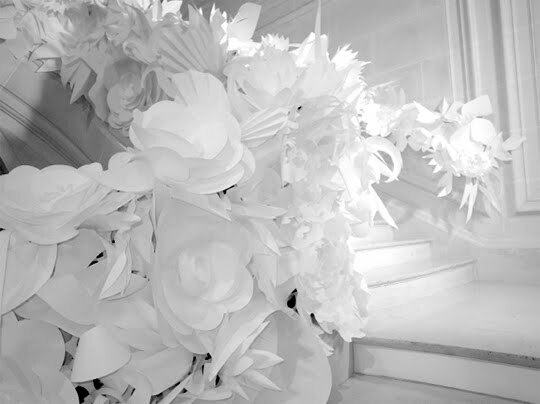 According to Chanel, the decor was made up of monochromatic arrangements of paper roses, daisies, leaves and petals that wound their way up and around the room's 32 columns and draped over the railings of the entryway staircase. 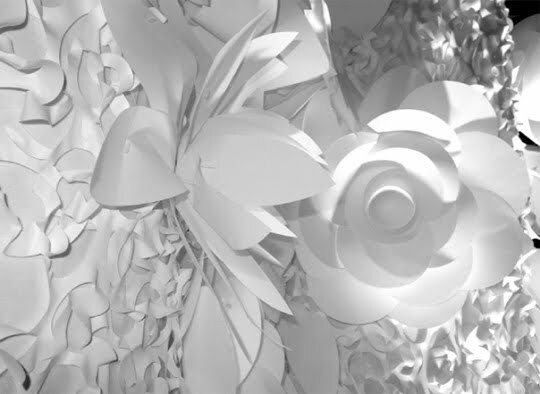 There were 7000 handmade paper flowers made which took 4,800 hours to work and assemble. What lucky bride would like to have this artwork at her wedding, but on a wee bit smaller scale! 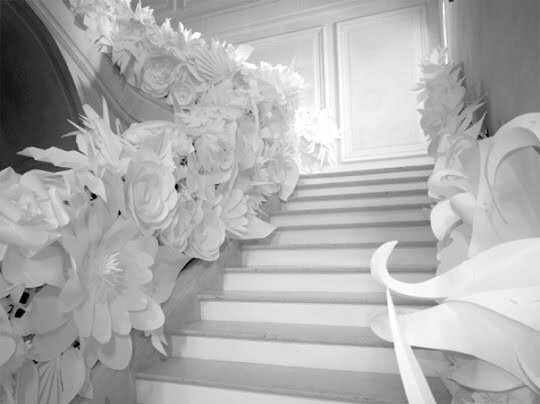 Images from Chanel via Apartment Therapy. 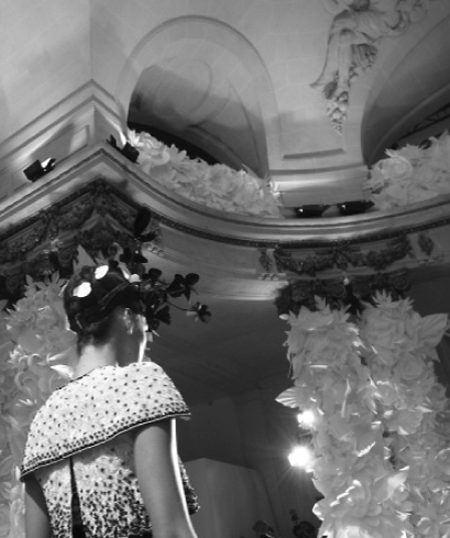 on my favs from all three fashion weeks not too long ago. Beautiful blog! Did you watch Coco before Chanel? It was fabulous movie and it captured the essence of her personality really well.